The Alabama Statewide Cancer Registry (ASCR) is a statewide, population-based cancer registry which collects data on all cancer cases diagnosed or treated in Alabama. The ASCR was established in 1995 by the Alabama Department of Public Health in response to a state law (Act 95-275) that made cancer a reportable condition. Data collection began on January 1, 1996. The ASCR is located within the Bureau of Family Health Services and is responsible for maintaining a statewide cancer incidence reporting system for the purpose of providing accurate and up-to-date information about cancer in Alabama. This central repository of information is a valuable tool in monitoring trends in cancer incidence, identifying populations at high risk for cancer, facilitating studies related to cancer prevention, and planning cancer control initiatives. The ASCR is a participant in the National Program for Cancer Registries (NPCR) that was established by the Centers for Disease Control and Prevention (CDC) in 1992 through the Federal Cancer Registry Amendment Act (Public Law 102-515). NPCR provides funding, guidance, and program standards for state cancer registries throughout the United States. In recognition of the ASCR for achievement of NPCR standards for data completeness, timeliness, and quality, Alabama’s cancer data is included in the United States Cancer Statistics report. The ASCR is a member of the North American Association of Central Cancer Registries (NAACCR) which sets standards for completeness, timeliness, and data quality. 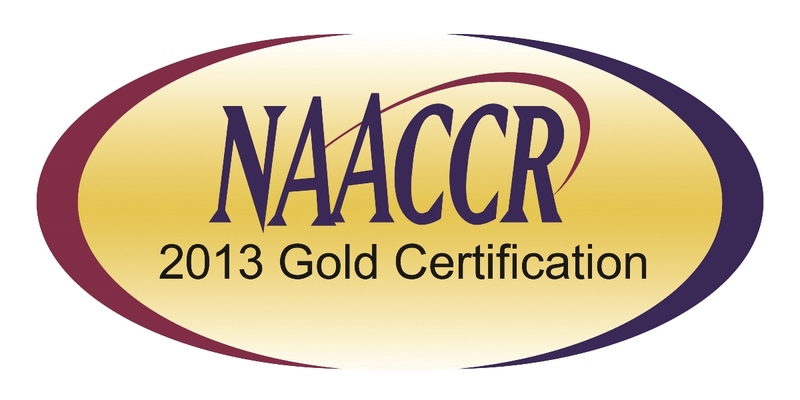 Registries that meet the highest standards receive NAACCR Gold Certification. Alabama has achieved the highest NAACCR standards and received the Gold Certification since data year 2004. This website is supported by Cooperative Agreement Number 1U58/DP003854 from the CDC. Its contents are solely the responsibility of the authors and do not necessarily represent the official view of the CDC.